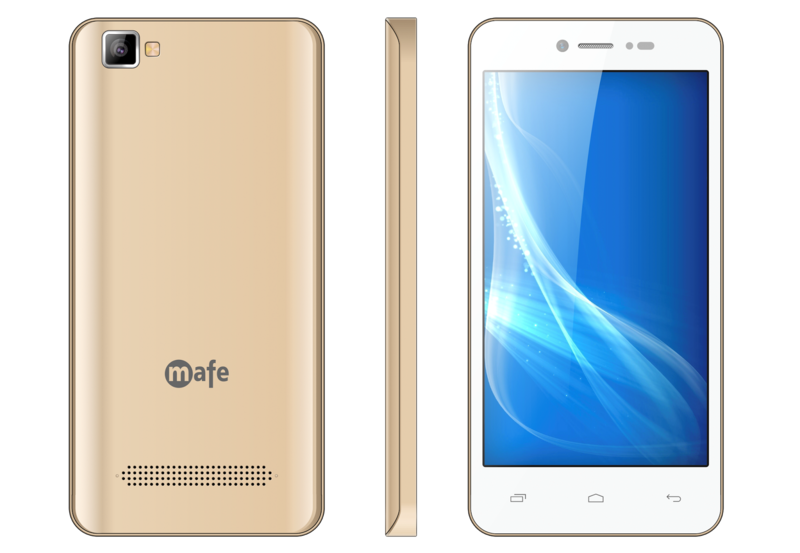 Mafe Mobile, a leading brand of affordable phones, has announced the launch of its latest 4G -VoLTE ready smartphone – the Shine M810. Dedicated to India’s 71stIndependence Day, the Mafe Shine M810 offers superfast internet connectivity and superior voice call quality at an affordable price. The Shine M810 sports a 12.7cm (5 inch), (480 x 854pixels) FWVGA display which makes movies, videos and games come to life. The device is powered by a 1.3 Ghz QuadCore SPREADTRUM processor, 1 GB RAM and Android 6.0 Marshmallow OS, delivering a smooth performance and makes multi-tasking a breeze. Now, watching movies, video calling, chatting and playing games is a glitch free experience! The Shine M810 features a 5MP rear camera with LED flash and a 2 MP front camera with Selfie Flash and comes equipped with a solid 2800mAh Li-ion battery with 8 hours of talk time(GSM) and 200 (GSM) hours of standby time. It offers internal memory storage of 16GB expandable upto 64 GB .Weighing just 170 gms and measuring 8.5mm in thickness, the SHINE M810 is extremely light weight and fits nicely into your palm or pocket. Additionally, the 4G VoLTE smartphone comes with a host of useful features like GPS, Bluetooth, Wi-Fi with tethering, proximity sensor and FM radio. Mafe is a leading domestic handset brand promoted by Saawariya Impex Pvt. Ltd. Founded in the year 2013 and based in New Delhi; the home grown brand focuses on the affordable phone market and offers a range of feature and smart phones. With a world class manufacturing plant in Haryana having an installed capacity of 250,000 units+ per month and an in-house R&D unit, the company adheres to stringent quality standards. Backed by committed promoters, a team of 250+ experienced telecom professionals, a network of 400 + distributors, 14000+ retail points and 650 service centers, the brand has sold over 2.5 million handsets till date. With a current CAGR of 40 per cent, Mafe is one of the fastest growing, Made in India telecom brand.